There was a busy but beautiful atmosphere in Saint Mary’s Cathedral, Limerick, when I called in yesterday afternoon [23 March 2019]. At the east end, Peter Barley had organised an afternoon programme, ‘Come and Sing Anthems,’ giving members of the public a joyful opportunity to join the cathedral choir in singing favourite anthems. The afternoon, organised in conjunction with the Royal School of Church Music, included music by Mozart, Byrd, Elgar, Eric Whitacre and John Rutter. At the west of the cathedral, visitors were continuing to arrive in large numbers to see the ‘Museum of the Moon,’ an exhibition came to an end early this afternoon. The ‘Museum of the Moon’ came to Limerick the previous weekend as part of the Saint Patrick’s Festival this year. This new touring artwork by artist Luke Jerram brings together a fusion of lunar imagery, moonlight and surround sound, featuring detailed NASA imagery of the lunar surface. Tying in with the theme of this year’s anniversary of ‘One Giant Leap’ on 1969 and honouring the lasting effect that the moon landing has had on the world over the past half century, the ‘Museum of the Moon’ landed in Saint Mary’s Cathedral on Friday 15 March and was due to continue for a week until Friday 22 March. It is an extraordinary art installation by the British artist Luke Jerram. Measuring seven metres in diameter, the moon features 120dpi detailed NASA imagery of the lunar surface. At an approximate scale of 1:500,000, each centimetre of the internally lit spherical space represents 5 km of the moon’s surface. The installation is a fusion of lunar imagery, moonlight and surround sound composition created by BAFTA and Ivor Novello award winning composer Dan Jones. 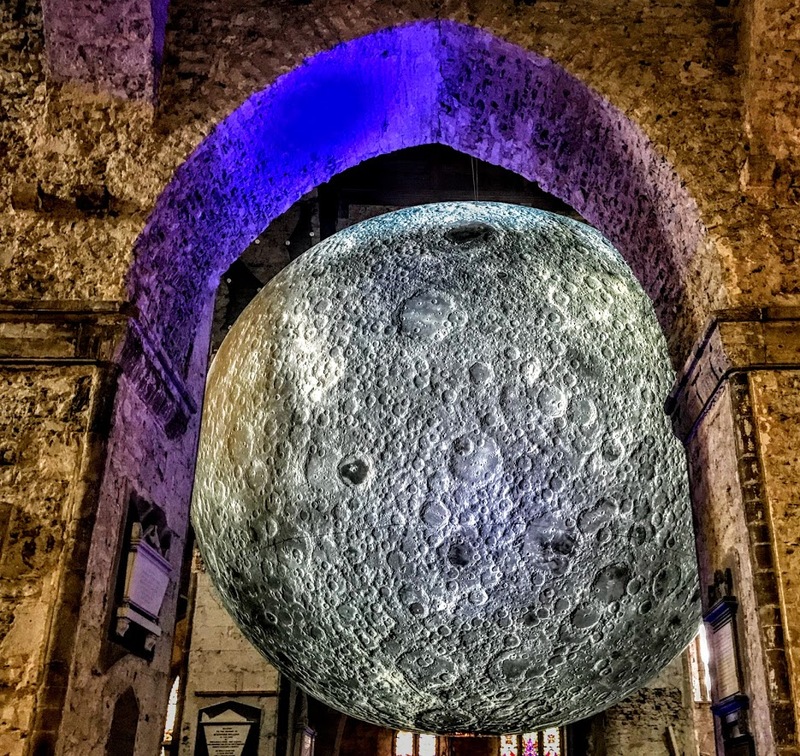 The moon has been stunning viewers across the world, and it should have been no surprise that this high detailed installation quickly became a popular feature in Saint Mary’s Cathedral over the past week or ten days. 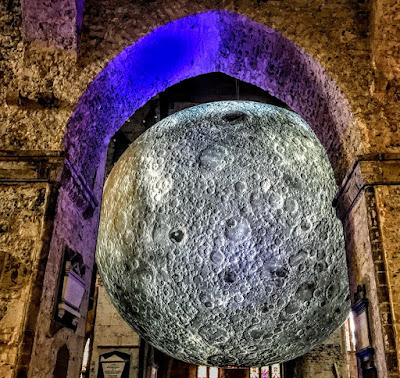 During Saint Patrick’s Weekend alone, over 5,000 people came to the cathedral to experience the Museum of the Moon. It seemed only natural, then, to extend the viewing opportunities until this afternoon. If visitors to the cathedral were surprised by the moon and music in Saint Mary’s on Saturday afternoon, I too was taken aback with an unexpected presentation. 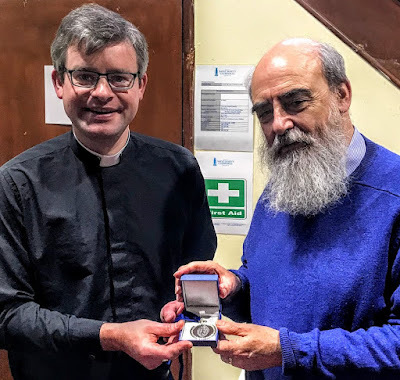 The Dean of Limerick, the Very Revd Niall Sloane, presented me with a medal to wear as the Precentor of Limerick. 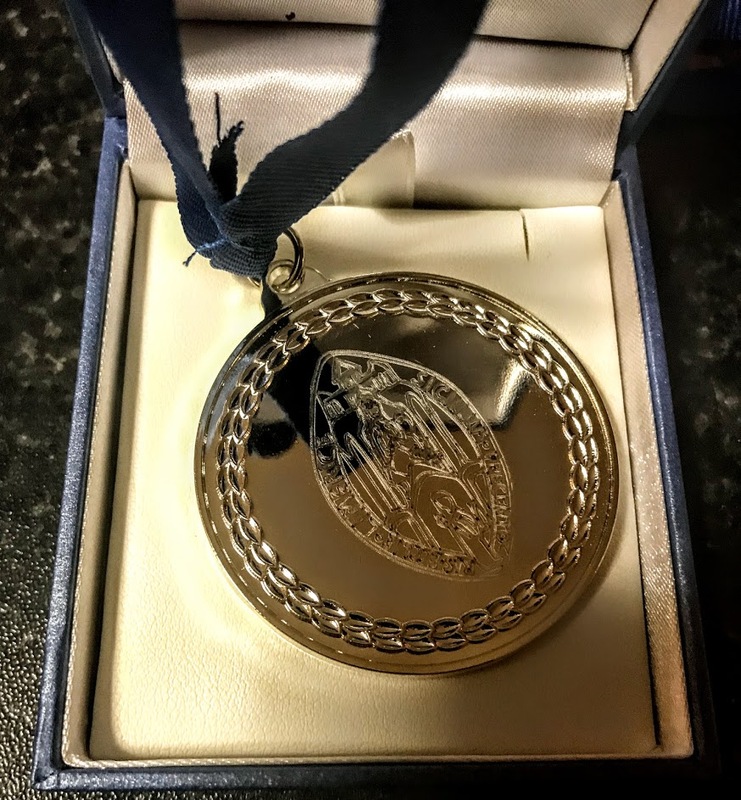 It is traditional for deans to wear a medal displaying the seal of their cathedral, and many precentors in cathedrals in the Church of England wear a similar symbol of office. But I think I may be the first precentor in a cathedral in the Church of Ireland to have been presented with a medal of office bearing the precentor’s seal. 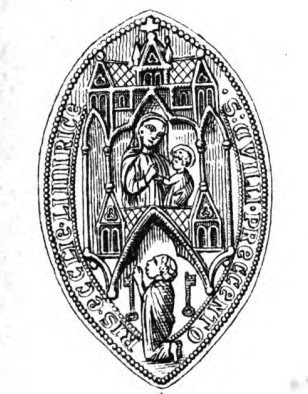 The seal shows the Virgin Mary with the Christ Child, with a mediaeval precentor of Saint Mary’s kneeling in prayer in the cathedral. It was a privilege to wear the medal with ‘choir robes’ at Morning Prayer in Castletown Church in Co Limerick this morning. I suppose you could say I was ‘over the moon’.